Summer fun is here so enjoy it in the Born Selway. 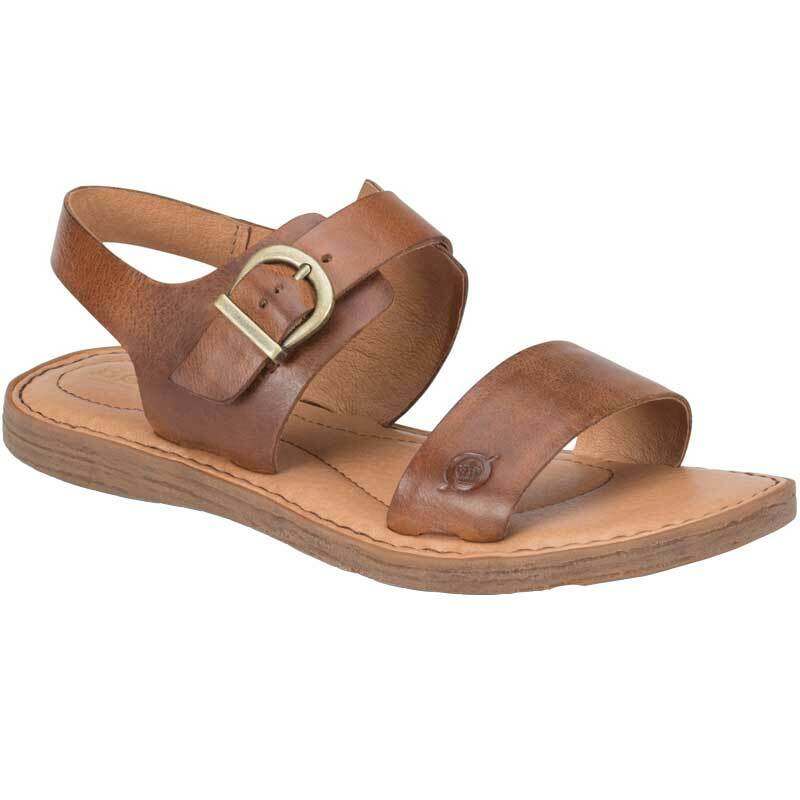 These women's easy-to-wear sandals feature a two-strap upper made of full grain leather with an adjustable strap with buckle closure. This strap ensures a secure fit and makes the Selway easy to slip on and off. Featuring Opanka hand-crafted construction and a soft leather lining, the Selway is lightweight and requires no break-in time. It also has a cushioned footbed for lasting underfoot comfort and a rubber outsole which lends traction on a variety of surfaces. Clean-cut lines and simple style make the Born Selway a new warm weather favorite.